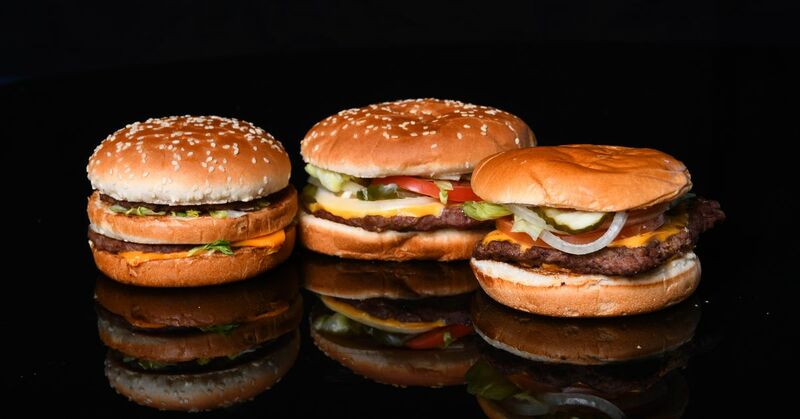 “People on my team who know the Whopper inside and out, they try it and they struggle to differentiate which one is which,” Fernando Machado, Burger King’s chief marketing officer, told the New York Times. This is a huge deal for those who want to see meat alternatives replace actual meat because of concerns over animal cruelty or climate change. If this scales up, it could help save hundreds of thousands of animals from suffering on factory farms, and it could fight global warming by reducing the number of methane-producing cattle. It could also combat other problems like antibiotic resistance. Burger King is giving the Impossible Burger a trial run in 59 restaurants in the St. Louis area, and if that goes well, the fast-food chain will make the product available in all its 7,200 branches across the US, according to Machado. That could signal the start of a noticeable drop in meat consumption nationwide if other chains follow Burger King’s lead. Which they are reasonably likely to do. White Castle has already begun selling a slider version of the patty produced by Impossible Foods. And in January, Carl’s Jr. restaurants started offering a veggie burger made by another plant-based meat company, Beyond Meat. It may seem counterintuitive for meat-focused chains to get in on the alternative meat movement (which is part of why Burger King’s announcement struck some as a prank). But it’s just good business sense. Consumers are increasingly seeking out meat alternatives, and if a chain can provide alternatives that are both delicious and cheap — the Impossible Whopper will cost $1 more than a regular burger — it stands to turn a big profit. For a startup like Impossible Foods, the benefit of partnering with Burger King is obvious: The chain can sell Impossible’s plant-based product at scale and help normalize the practice of going meatless. But by working with such a chain, Impossible Foods may also be courting controversy. Because Burger King is by no means going to stop producing beef burgers, some might argue that teaming up with it wrongly gives it the sheen of moral legitimacy. This is the argument some made when Tyson teamed up with Beyond Meat. And lest anyone be confused by the “0% beef” label affixed to the new Impossible Whopper, it’s important to note: This meal isn’t vegan. That’s because Burger King douses it in the same mayo it uses on its regular Whoppers. The unlikely alliance of Burger King and Impossible Foods, like the alliance of Tyson and Beyond Meat, is a strategic choice to prioritize scaling up, even if it means making some compromises along the way. The implicit wager is that this gambit will ultimately prove worthwhile because it’ll help alternative meat take off way faster than it could’ve done without a boost from big players. With the Impossible Whopper now on offer, we’ll see whether that bet pays off.